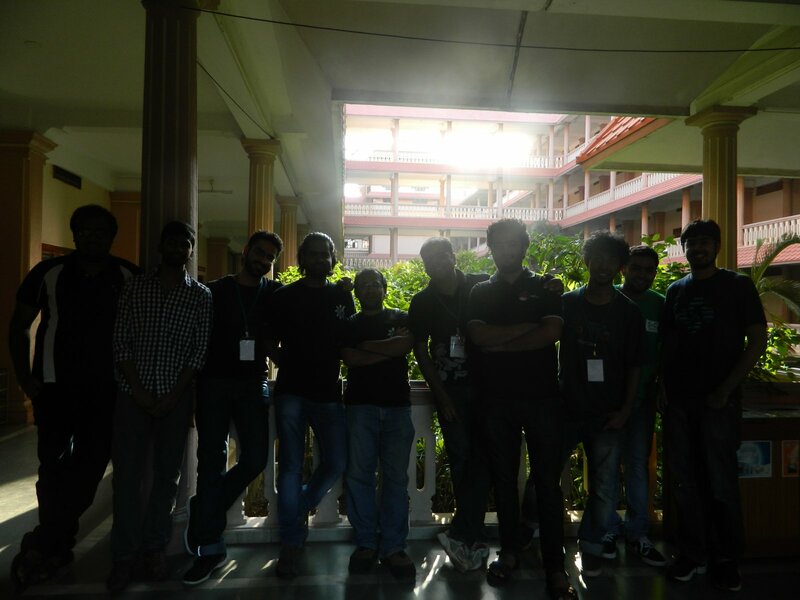 Conf.k de.in 2015 – KDE conference organized by passionate KDE India team. 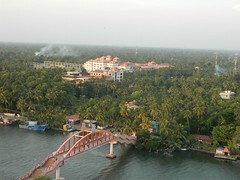 This year it took place in Amrita college, Kerala from 17th to 18th April. Schedule of these two days conference included talks on various KDE applications, Qt tutorial, how to contribute to KDE, etc. 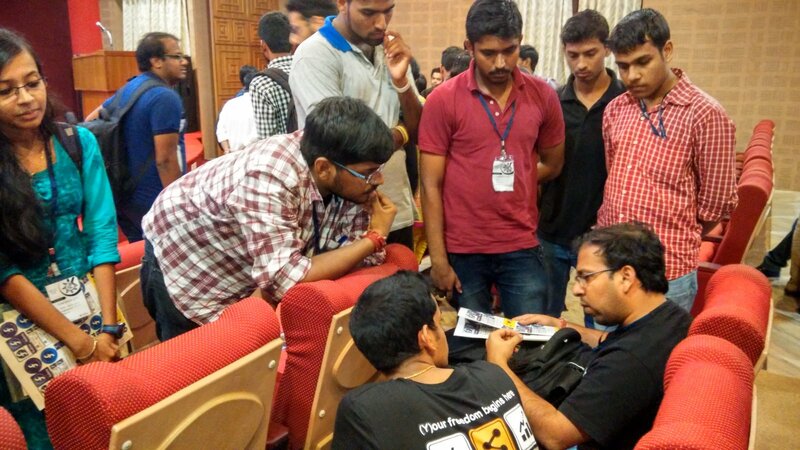 We also organized Qt workshop to give a hands-on feeling to attendees. Slides and pictures from conference are available. Compared to past conf.kde.in, I felt venue of this year pretty different because this college had very cultural touch as it was near to Ahsram, it also had beautiful beach around 10 minutes walking distance from venue, beautiful backwater flowing very near to Guest house we were staying, also teachers of college were interested and involved as well throughout conference and were personally taking care whether everything is fine or not. 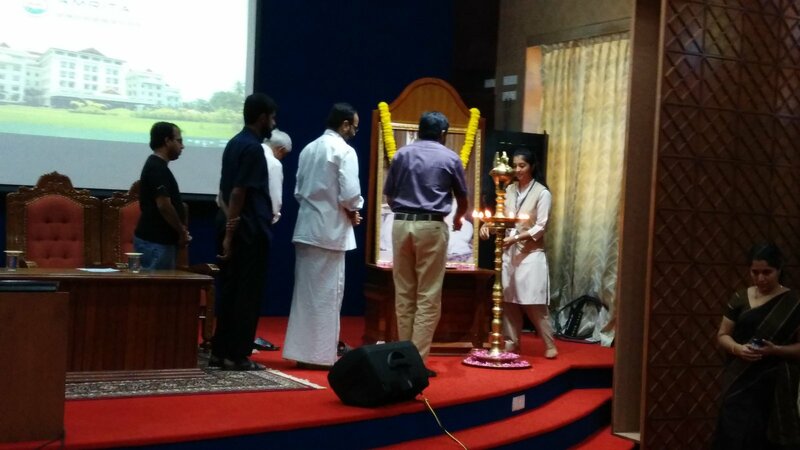 After registration, first day of conference started with opening ceremony where college teachers involved in FOSS community, Pradeepto Bhattacharya and Noufal Ibrahim addressed it by lighting lamp and traditional college prayer. 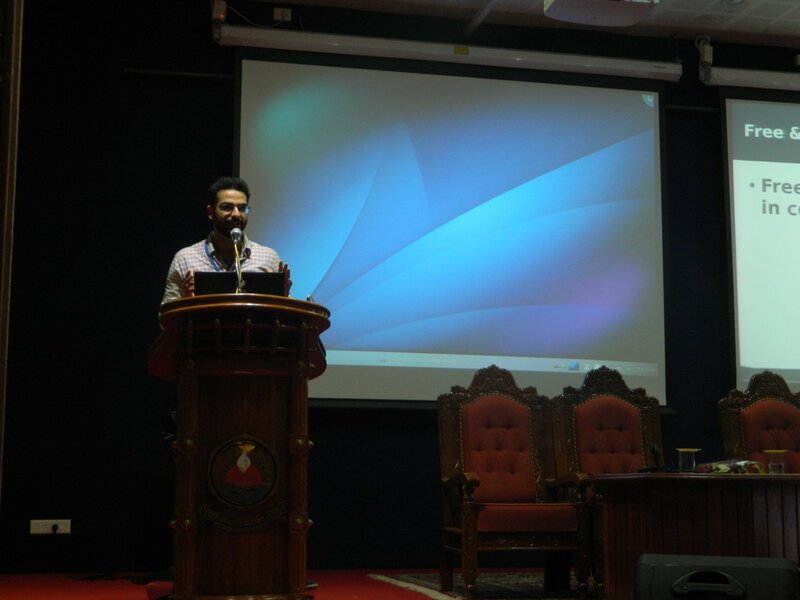 This year we did something different and as a result we had a keynote speaker Noufal Ibrahim who is Kerala based and is founder of PyCon India and PSF board member since 2012. 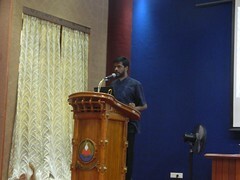 It was pleasure in listening to his talk Reusable software – the UNIX way. 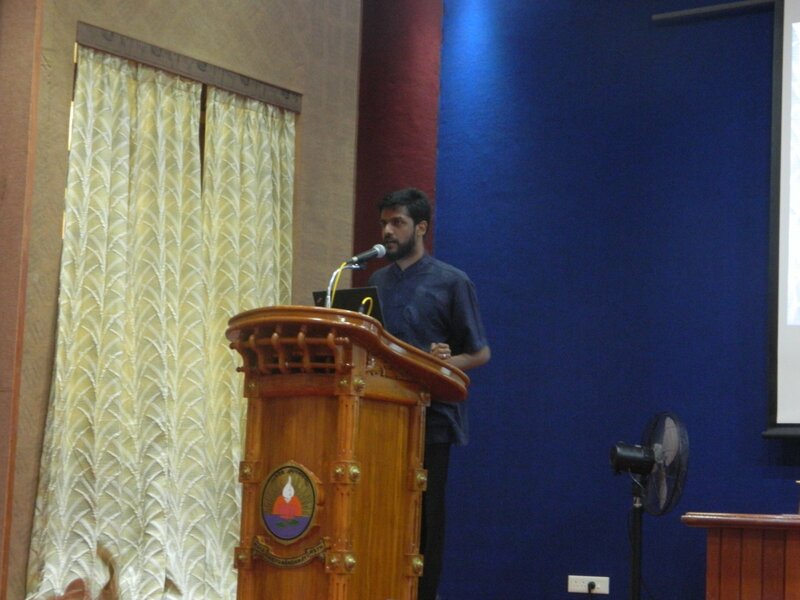 In his talk he showed how easily you can come to know what exactly a book is about by using few UNIX command – sort, ls, wc, grep, awk, tail, uniq. It was good to see the power of UNIX commands and people appreciating it. 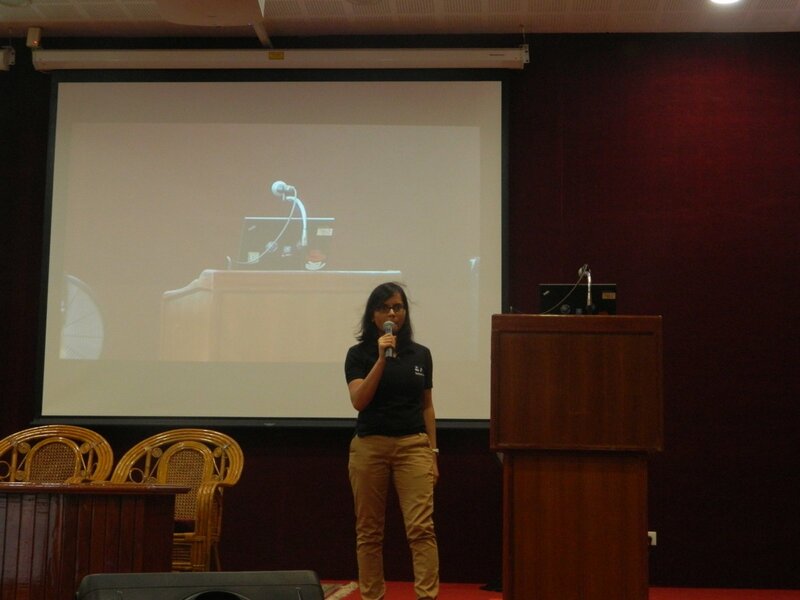 In order to keep audience curious and interested, next talk was on Krita– Awesome digital Painting Software by Somsubhra Bair who is contributing to Krita from around 2 years. 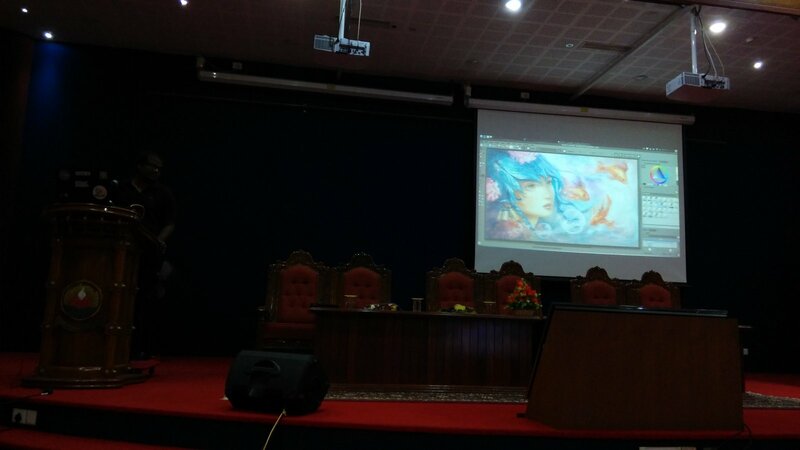 He showed couple of beautiful videos about painting in Krita and talked what other powerful and amazing work you can do using krita. 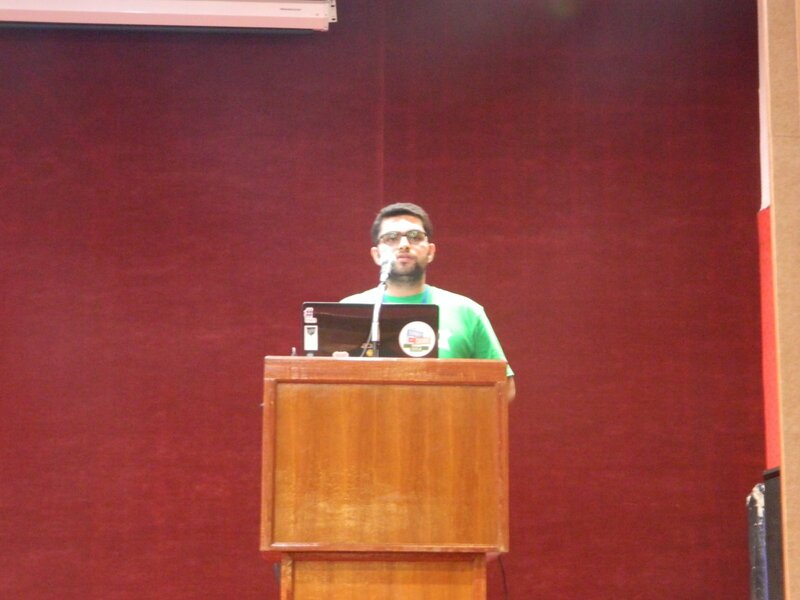 Later Pinak Ahuja talked about his SoK experience and how he started contributing to KDE. 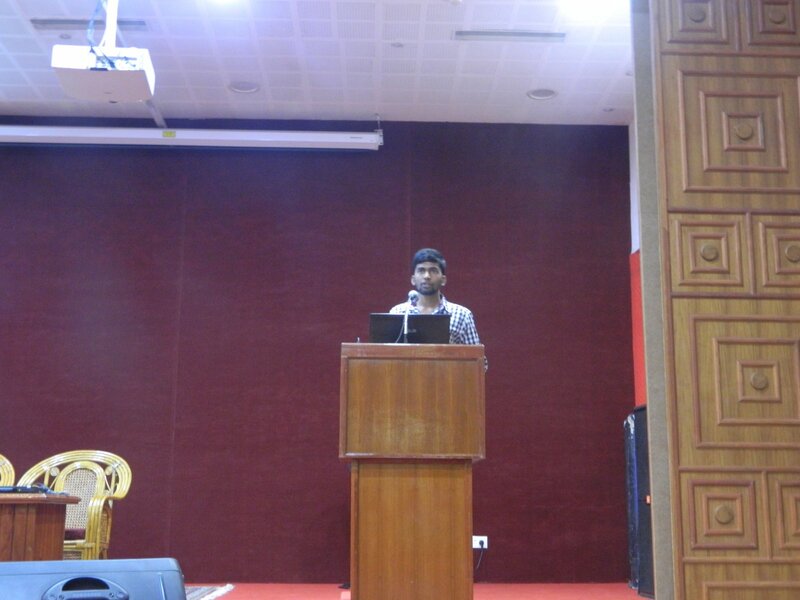 This talk was quite motivating to attendees in order to getting started with KDE. 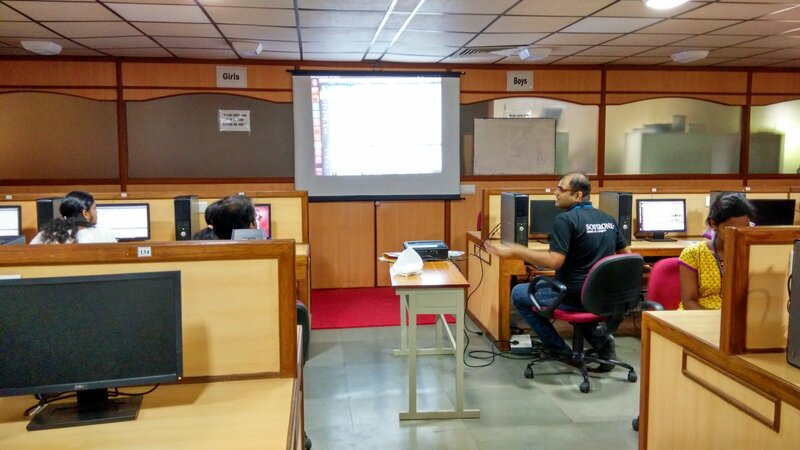 To add more motivation and building confidence in attendees, Shantanu gave Qt/QML basic tutorial and showed how easily you can create basic elements like Rectangle, images, etc in QML and how easily you can add animation to it. 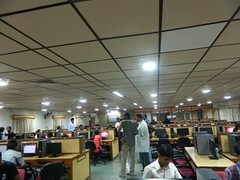 To give a hands-on experience we also added workshop for students in college lab where Qt creator and needed libraries were already set-up by local volunteers. Everyone enjoyed building basic application themselves and few of them were also able to do what Shantanu gave task. We all speakers were helping out attendees with problem and queries. Second day started with A tour to Marble project by Sanjiban Bairagya where he talked about different features of Marble like virtual tour from one place to another comprises of earth and also other planets like Mars. 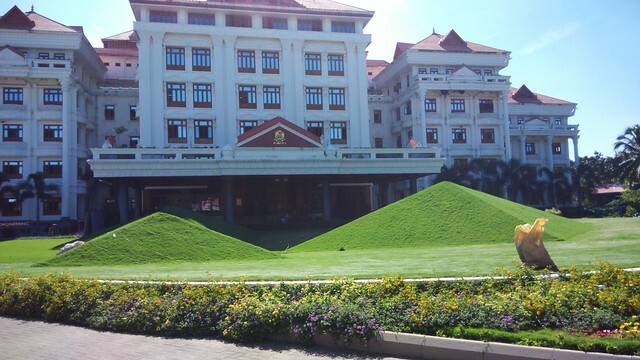 He also demonstrated how easily you can navigate from one place to another over globe. Next was my talk where I talked this time on a different topic – Qt on Android. 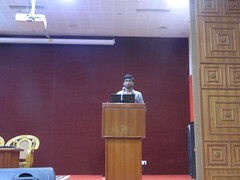 I opted this topic because I knew there is lot of craze among students for creating android apps. So, I thought let me learn how to make Android app using Qt and talk on same. I demonstrated how easily you can run your Qt application on android and distribute generated .apk file to others and also how to publish app to Google play store. 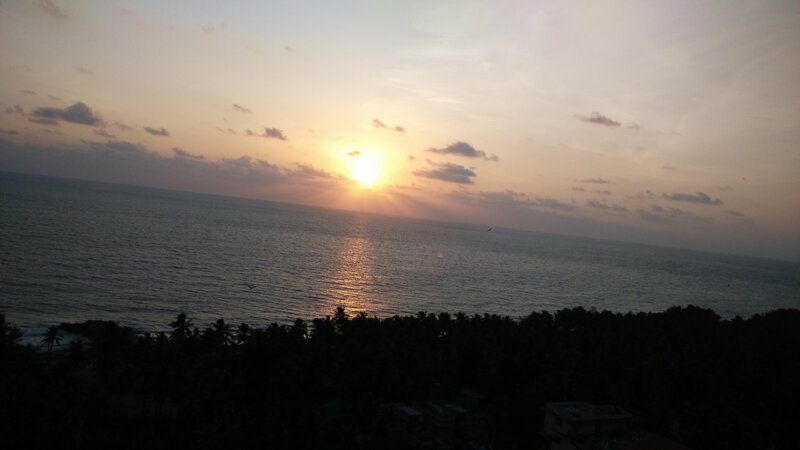 Android app which I created was Imgs and somehow I managed to publish it to Google play store. 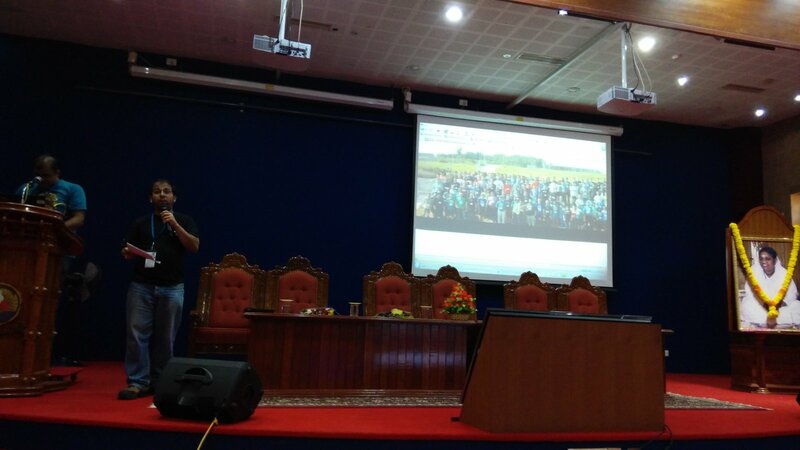 Attendees were very much interested in listening to this talks and it seems more than 50% of them had android phone and most of them were interested in creating their own Android application. 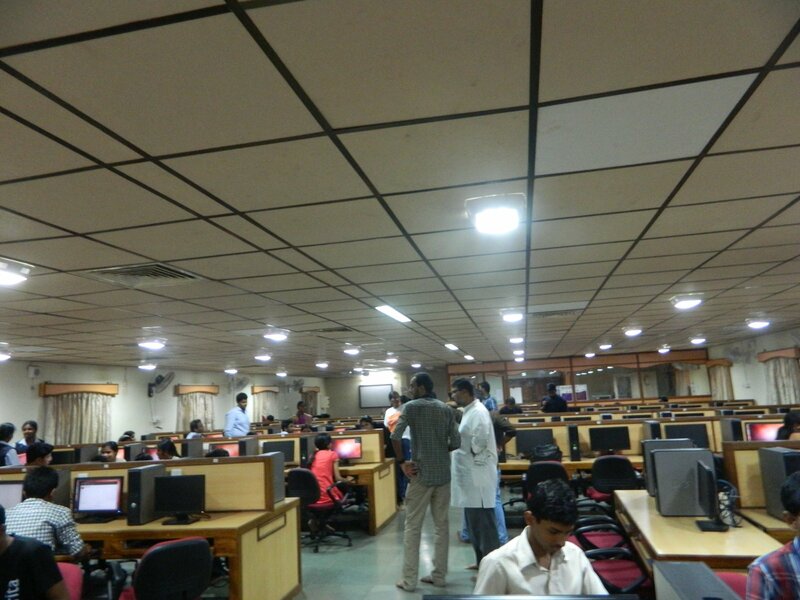 Further, talks were going on in conference room and in parallel we also conducted Qt/QtQuick workshop for few first year students who missed out in Day1. I was helping students with their doubts, issues and monitoring ensuring if everyone is on track. It was good to see that all first year college students were able to grasp whatever Shantanu demonstrated and were able to do it by own. Last talk of the day and conference was by Karan Luthra on Trojitá project. 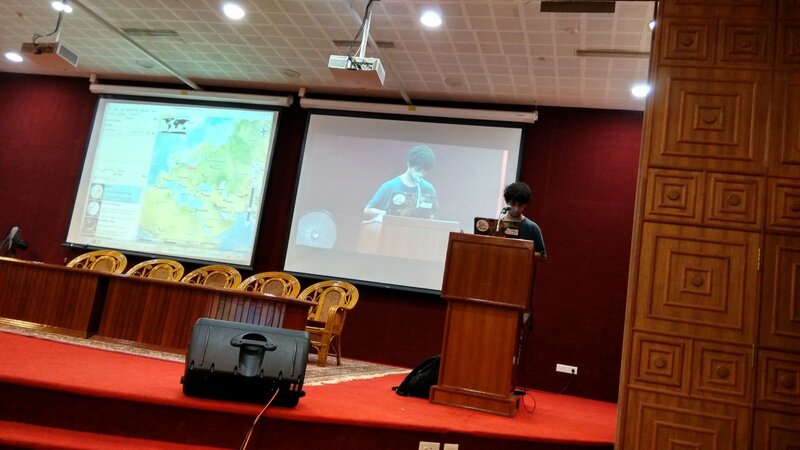 Karan talked about what all features Trojitá provides and why to use it and how to contribute into it. It was good to see a fast and lightweight email client. Looking forward to try it out in my system and will see whether it fits my need or I should continue using Kmail. 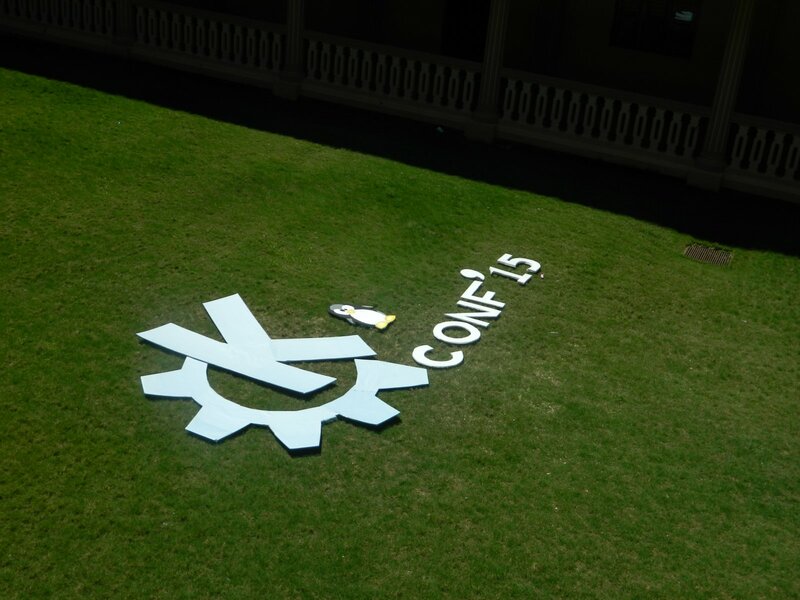 At the end of conference, attendees and speakers were talking to each other and having discussion on KDE projects they were interested on. 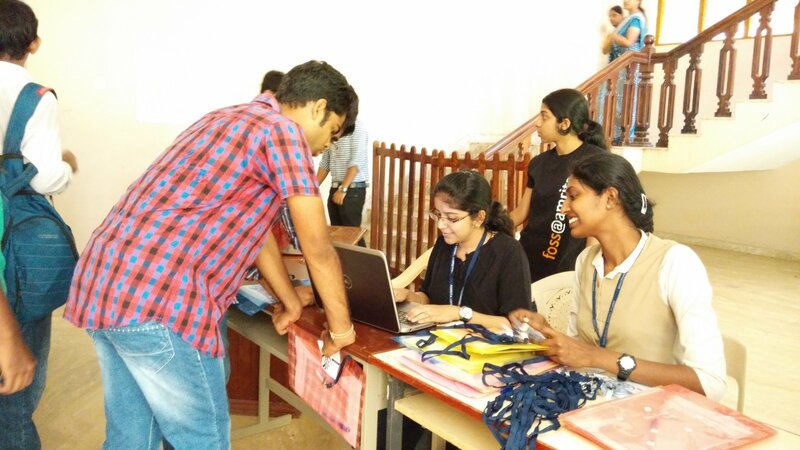 I also distributed Fedora stickers sheets among attendees which I got from my Fedora friends and talked to few attendees/teachers regarding attending upcoming FudCon APAC conference.